There was no lack of excellent death metal albums in the early '90s, but probably because of the abundance of extreme music, most relics were underrated and forgotten. 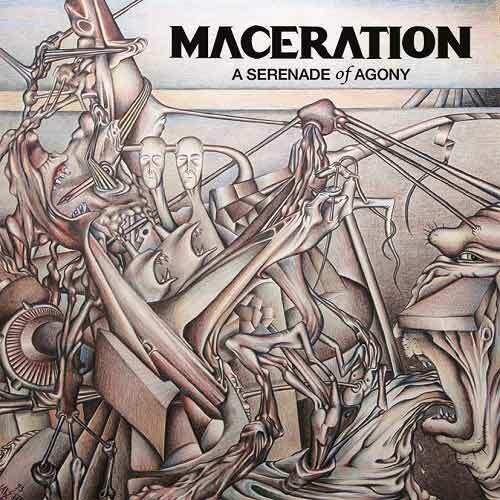 Such as "A Serenade of Agony" by Maceration, which band was a short lived side project. Even though the common critics may say that "it was nothing new", the feeling of the album is remarkable, and refers mostly to the style of the American scene by it's musical features. 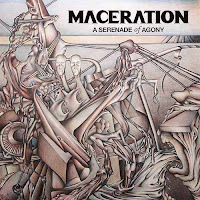 Reminds to Massacre and Incubus first of all by the themes and the main feeling. But it may cause a déjá vu effect because the song structures and the vocal style is often similar to Cancer's. It couldn't be disappointing for the fans of old school death metal, not only because of the good sounding references, but even without them the album could be a perfect example to define the whole style. An intense and powerful act of old school musickness with catchy nerve wrecking and noisy solos and a commonly changing pile of awesome themes.